Ann Arbor, Dearborn, Grand Rapids, Kalamazoo, Kalamazoo Twp, Muskegon, Norton Shores, Oshtemo Twp, and Portage have all adopted five-foot bike passing ordinances. On June 29, 2018, Governor Snyder signed PA 279 and 280 of 2018 into law, making three feet of space the statewide standard for safe passing. The new law puts into question whether the new Public Acts supersede the existing local ordinances. 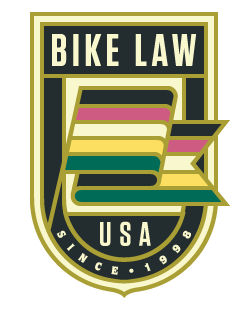 With our partners at League of Michigan Bicyclists, we sought to clarify this confusion about the law. Below is an analysis of conflicts between state and local laws. The conclusion drawn from the case law outlined below leads Bike Law Michigan to the opinion that the three-foot passing statute does not preempt local five-foot ordinances. In People v. Llewellyn, 401 Mich. 314, 322 (1977), the Supreme Court created a two-prong test for adjudicating conflicts between municipal ordinances and state statutes. A municipal ordinance is said to be preempted where (1) it is in “direct conflict with the state statutory scheme” or (2) the state statutory scheme occupies the entire “field of regulation which the municipality seeks to enter, to the exclusion of the ordinance, even where there is no direct conflict between the two schemes of regulation.” Id. In other words, a municipal ordinance will not stand if it’s in direct conflict with a state statute, or if the state has exclusive control over the area of law that the municipality has tried to enter. The legislature’s intent with the three-foot passing statute and the municipality’s intent with five-foot passing ordinances are perfectly aligned. The two-foot difference between the statute and the ordinance is a mere difference in detail, not sufficient for preemption. As a general guiding principle, a conflict between a municipal ordinance and a state statute is said to exist when the “[ordinance] permits what the statute prohibits or prohibits what the statute permits.” McNeil v. Charlevoix Cnty., 275 Mich. App. 686, 697 (2007). On its face, this language would appear to cut in favor of preemption—the ordinance prohibits vehicles from passing at a distance of, say, four feet, which the state permits. However, such a plain language analysis fails to consider the intent of the legislature in enacting the three-foot passing statute. And that’s significant because any determination on preemption must follow a close examination of the legislature’s intent. Id. at 691. In our case, the intents of both the legislature and the municipality are clear: protect bicyclists from dangerously close passes. In this way, the statute and the ordinance are perfectly aligned, and both accomplish the same goal. Mere differences in detail do not render them conflicting. If either is silent where the other speaks, there can be no conflict between them. Where no conflict exists, both laws stand. As a general rule, additional regulation to that of a state law does not constitute a conflict therewith. Id. Certainly, the five-foot ordinance and the three-foot statute cannot be said to be either inconsistent or irreconcilable with one another. Enforcement of the ordinance ensures enforcement of the statute. And where the statute is silent—on passing at a distance greater than three feet but less than five feet—the ordinance speaks. Therefore, there is no conflict between them and the ordinance is merely an “additional regulation” that comports with the “general rule” stated above. ‘The mere fact that the state, in the exercise of the police power, has made certain regulations does not prohibit a municipality from exacting additional requirements. So long as there is no conflict between the two, and the requirements of the municipal ordinance are not in themselves pernicious, as being unreasonable or discriminatory, both will stand. The fact that an ordinance enlarges upon the provisions of a statute by requiring more than the statute requires creates no conflict therewith unless the statute limits the requirement for all cases to its own prescription. Thus, where both an ordinance and a statute are prohibitory, and the only difference **353 between them is that the ordinance goes further in its prohibition but not counter to the prohibition under the statute, and the municipality does not attempt to authorize by the ordinance what the legislature has forbidden or forbid what the legislature has expressly licensed, authorized, or required, there is nothing contradictory between the provisions of the statute and the ordinance because of which they cannot coexist and be effective. Unless legislative provisions are contradictory in the sense that they cannot coexist, they are not deemed inconsistent because of mere lack of uniformity in detail.’ [Emphasis in original, final emphasis added.] Id. at 268. The third, fourth, and fifth sentences make it clear that in the present case, where a local ordinance merely adds to the requirements of a state statute, “there is nothing contradictory between [them].” Moreover, the fact that the ordinance “goes further in its prohibition” of passing too close to bicyclists does not render it invalid or preempted by the statute. In light of this decision and the National Amusement Company decision, Michigan courts seem to have unambiguously settled this issue.